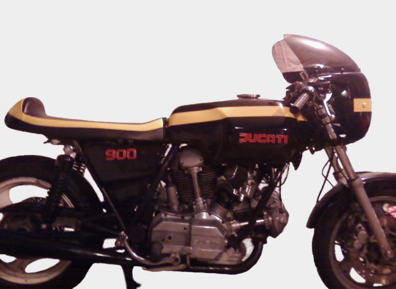 A few years back, my brother acquired a 1976 Ducati GT 900 — an old bevel-drive ghost that is pretty for nostalgia reasons if nothing else. When he got her, she wasn’t running, and hadn’t seen the road for years. In fact, was missing most of the electricals. The bike needed a lot of things, including a new wiring harness. But the engine had good compression, and a several-years long labor of love began. That project is nearing its end now, as the bike is road-worthy, and starting to look great. “Road worthy” might, in fact, be an understatement. Arguably, this bike runs and rides better than she did when brand new. Why? Because my brother did not stick to trying to restore this bike to factory stock. 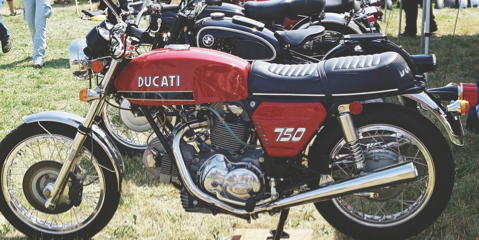 He wanted a daily rider — one that he could tear up the twisties on. So what did he do? All new suspension and modern breaks, for starters. Again, an understatement.